stride is The story of a young woman recovering from an eating disorder and becoming an endurance athlete. When Michelle was discharged from hospital over two years ago, she had a difficult journey ahead of her: recovering from anorexia nervosa. It was up to her to pick up the pieces and start on the long road to recovery. In the grip of living with anorexia, Michelle spent hours at the gym with one goal: burning calories. 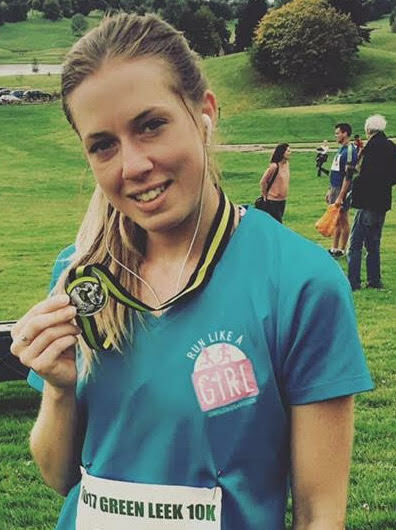 When she reached a healthy weight, Michelle found a new appreciation for running and cycling. This time she was excercising for the right reasons. It was an outlet that helped her process her thoughts and rebuild her self-confidence. Two years on, she's still running and and she regularly competes in races. In 2018, Michelle faces one of her biggest races yet: the Cotswold Marathon. We want to help her capture this process and support her along the way, and we hope to do so through making a documentary about her story. To do this, we need money. And this is where you can help. 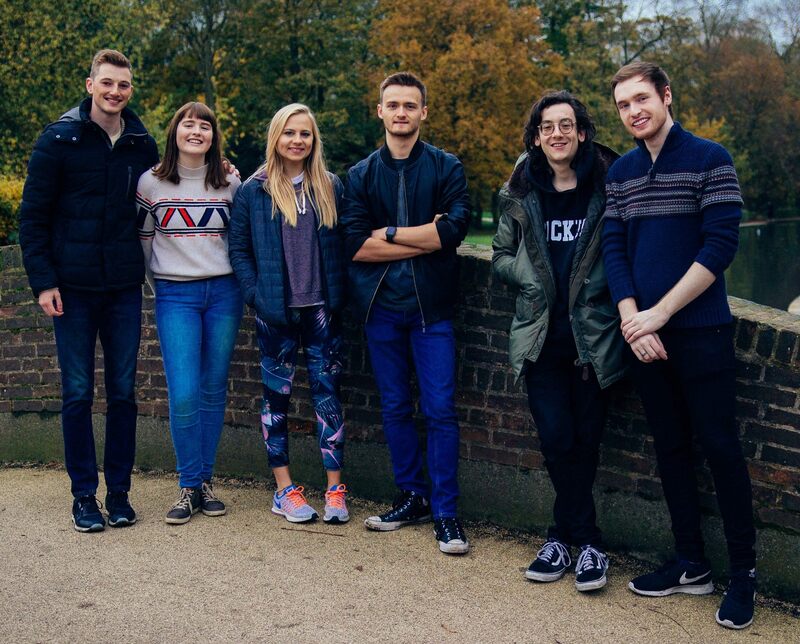 We are 6 committed filmmakers based in the Theatre, Film and Television Department at the University of York. This film is an assessed component of our degree, but to us, it is so much more. In making this film, we want non-sufferers of anorexia to better understand the process of recovery, and we want to reach out to those suffering to show them that recovery is possible. We all feel that Michelle's story deserves to be told fairly and we're determined to treat it with the utmost respect. Our director Becky knows Michelle personally and we are working with her to figure out the best way to do her inspiring journey justice. We all have experience of working on a variety of different projects and are excited to bring our talents and experience together to do this documentary justice. But we cannot do this without your charitable donations. In order to make this documentary the best it can be, we require £ 2000 in funds. 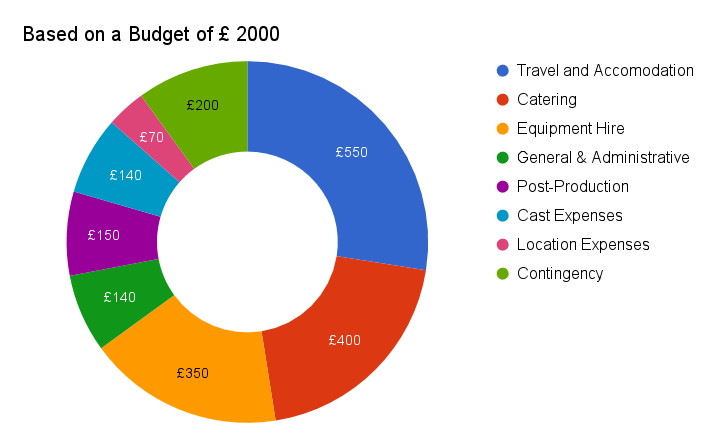 Our minimum target of £ 1000 would allow fo the essentials: travel, catering and general expenses. Our maximum target would allow us to increase the production value of our film by hiring specialised equipment, which will give the film a more professional, polished look. We would also be able to comission a composer, as an original score would add more depth and emotion to the documentary. Any money we have left over will be used to enter our film into festivals. As we want to portray Michelle's daily life and training as true to life as possible, we will be travelling to Leamington and Warwick. We are hoping to film Michelle running the Cotswold marathon, which requires us to go to Gloucestershire. We will be transporting the equipment from York in our two cars, which we will also be travelling in during shooting. To minimise accommodation costs, we will be staying at our director's family house. A well fed crew is a happy and productive crew. As we will be filming mostly outside in February, it is essential to provide the team and our subjects with regular hot meals and drinks. We are very fortunate to be provided with the essential equipment by our department. Reaching our maximum target would allow us to hire a camera stabiliser, which would make the running shots of Michelle look smoother and more professional. These expenses include publicity and donor rewards, as well as smaller expenses such as postage, parking and printing. This part of the budget will go towards the aquisition of hard-drives to make sure all our footage is always backed up. If we reach our maximum target, we could also pay a comission to a composer to write an original score for our film. This includes travel money for our subjects (bus, fuel), as well as Michelle's marathon entry fee. Expendables such as batteries, stationary, markers, masking tape and gaffer tape, as well as HI-VIS gear for the crew. In case anything doesn't go to plan, we will have some funds on the side to deal with unexpected expenses. This could be one of our cars breaking down, a location or filming day falling through or having to book a hotel. For daily updates on the production, please follow us on social media. We will be posting behind-the-scenes photos and footage, introducing each crew member and sharing news and resources on eating disorders and recovery. Please donate to help us make this project a reality. Every donation, big or small, will be a big help and we truly appreciate every contribution. Donating will also give you the opportunity to be more involved with our film. We are offering rewards for all donors, ranging from a virtual shout-out to an exclusive screening of the film, so be sure to check them out! Even if you are unable to donate, please support us by following us on Facebook , Twitter and Instagram and sharing our posts. We are so committed to this documentary and want to reach as many people as possible to tell Michelle's story. The Stride Team: Becky, Julia, Ruairi, Alex, Callum and Josh. Thank you! You will receive a shout-out across our social media pages. As a thank you, you will receive a personal video message from the team and the above. Thank you so much! You will receive a signed poster with a hand-written thank you message and all of the above. As a thank you for your donation, you will receive a digital download of the film once it’s completed and all of the above! Thank you for your generous donation! This option will get you a special contributor credit in the film and all of the above. As a thank you, you will get access to a digital download of the film with an exclusive commentary by the crew and all of the above. Thank you so much! The team would like to invite you to an exclusive cinema screening of the documentary in the Film and Television Department (travel expenses not covered) and all of the above. As a thank you for your generous donations, you will receive a collection of printed production photos, access to an exclusive behind-the-scenes video and all of the above!